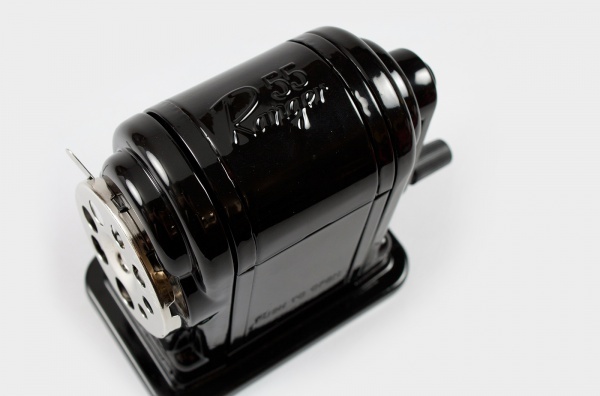 Ever since 1800, many pencil sharpeners had been produced, but none of them were ideal and convienet to use with the complex construction and space consuming body. 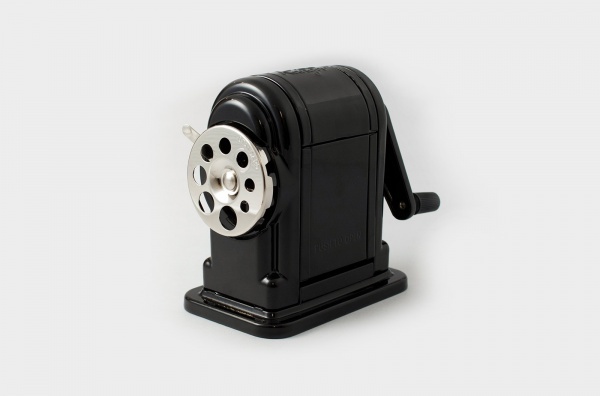 In the 50's, American designed this renovative pencil sharpener, X-Acto Ranger 55, which had became one of the classic contemporary design. 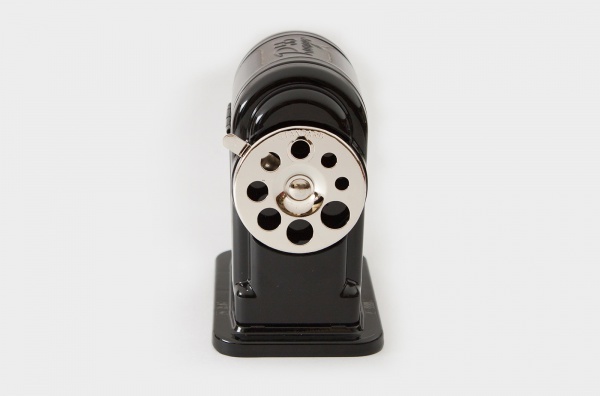 This industrial style metal sharpener has 8-hole pencil guide on a dial which can be turned for fitting pencil and colored pencil of any size, this unit mounts well on an office or classroom desk. Both hands are needed with the left hand to hold the pencil in place, and the right hand to turn the blade when sharpening. 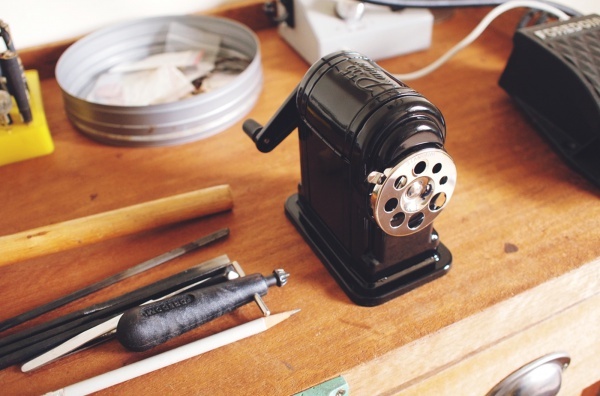 It takes a few tries before getting used to the machine for perfectly sharpened pencil. 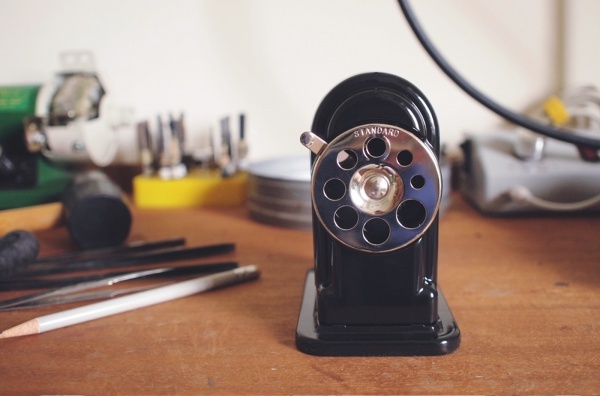 ＊The factory always tests and tries sharpening each sharpener in order to make sure that every pencil sharpener operates properly. Therefore, please note that it is the normal condition if there is some lead dust inside the product.